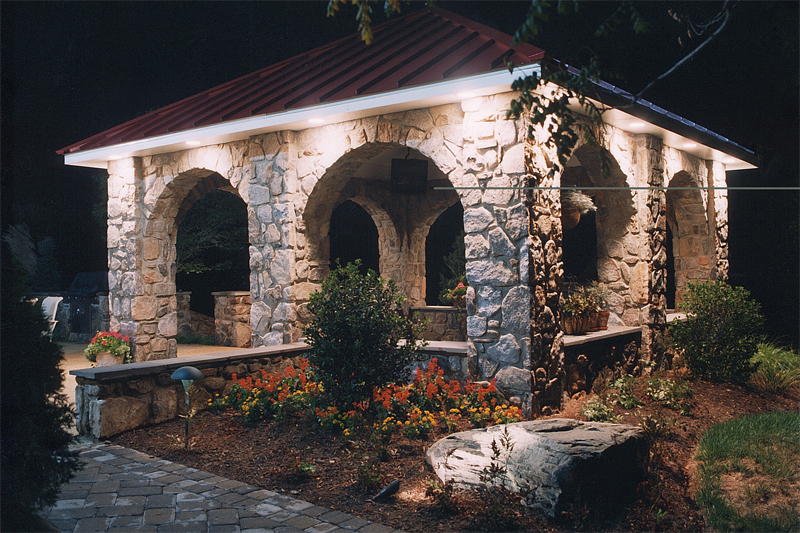 If you’re a regular reader of this blog, you know that I spend a lot of time talking about the benefits of LED lights – and specifically, the benefits of using LED lights in outdoor landscape lighting systems. That’s because LED lights are so superior to other forms of lighting. An LED bulb, for example, will likely last hundreds to thousands of times longer than an old-fashioned incandescent bulb. LEDs are dramatically brighter and sharper than incandescents. And LEDs consume just a fraction of the energy that a comparable incandescent bulb would use. But that doesn’t mean that there hasn’t been some new-technology competition for the LED bulb. Another form of new lighting technology, the CFL bulb, has been competing with LEDs to be the go-to technology for replacing incandescent bulbs. CFLs also come with a distinct disadvantage: the bulbs contain mercury, a very dangerous heavy metal. So disposing of a CFL bulb, or cleaning-up a broken bulb, must be done properly. In spite of that significant disadvantage, though, overall CFLs offer significant improvements over old-fashioned incandescent bulbs. That’s why they’ve been competing with LEDs for the job of replacing incandescent bulbs worldwide. But CFLs just took a huge step back in the competition with LEDs. One of the leading sellers of the CFL bulb, General Electric Lighting, has dropped the CFL from its product line. During 2016, GE will gradually phase-out the CFL bulb. So the company that invented the coiled CFL has decided to jilt that technology for the superior benefits of LED lighting. What does that news mean to you as a homeowner? Well, it will obviously reduce the choices you’ll have in the products available to you for replacing incandescent bulbs. But there will still be plenty of CFL bulbs on the market, even without GE’s CFLs, so that isn’t such a big deal. The more important impact of GE’s announcement is that it provides another indication of LED technology’s superiority over the competition. So the writing is on the wall. If you’re looking to replace incandescent bulbs with better technology – in your landscape lighting system, for example – your best choice is LED technology. GE’s news is just one more indication of that truth. This entry was posted on Tuesday, March 8th, 2016	at 10:52 pm	. You can follow any responses to this entry through the RSS 2.0	feed. Both comments and pings are currently closed.